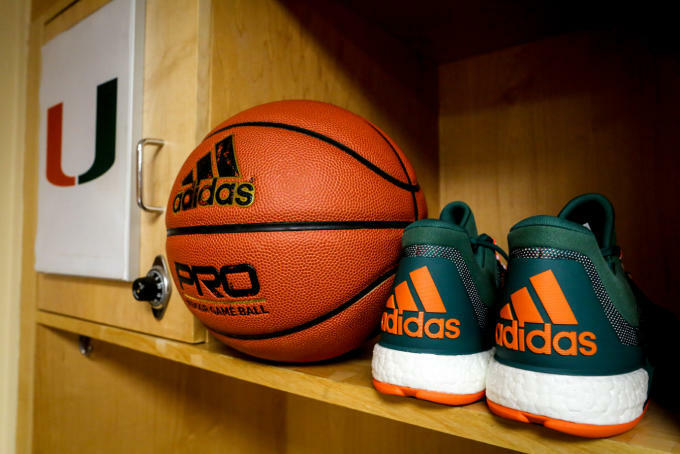 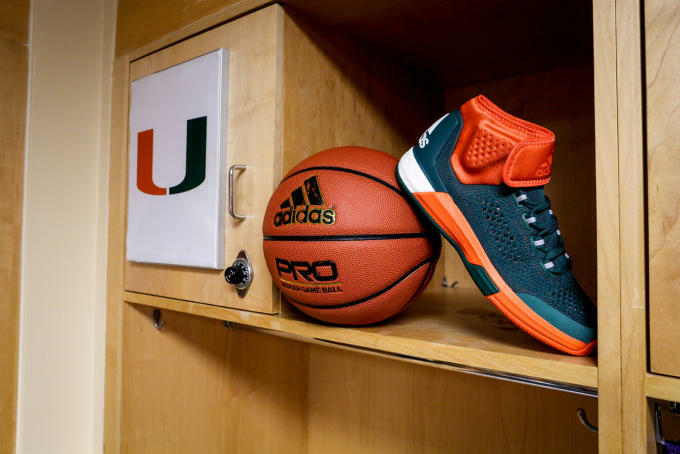 One of the biggest news in college sports this year was the Miami Hurricanes leaving longtime sponsor Nike for its archrival adidas. 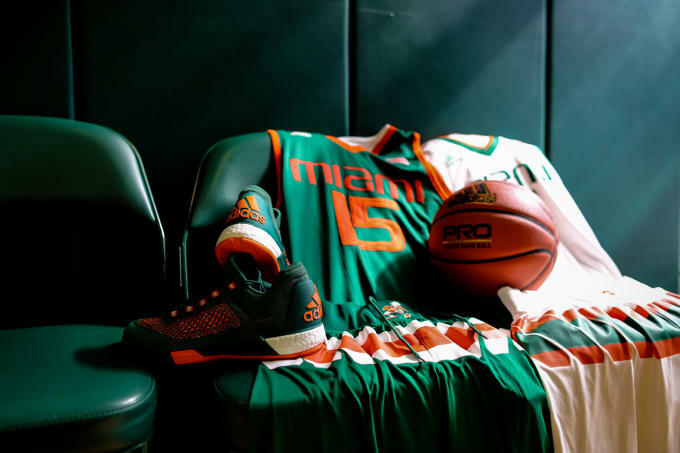 Yesterday, adidas unveiled its debut uniforms for the 'Canes basketball teams complete with exclusive colorways of its premier basketball model, the Crazylight Boost 2015. 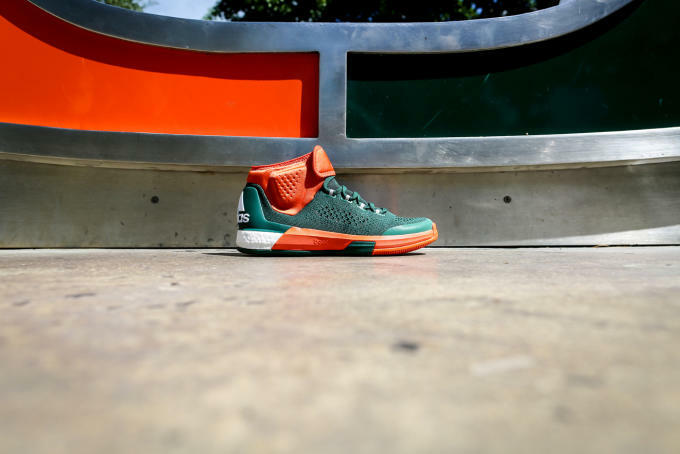 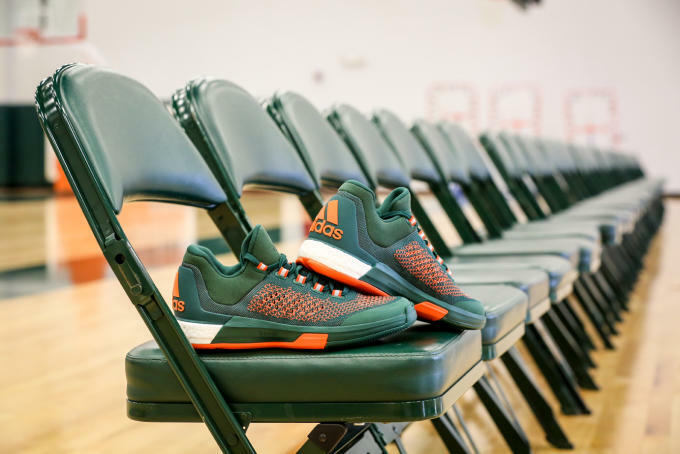 Offered in both a mid and low, the Crazylight 2015 sports the school's signature colors of green and orange and of course adi's much celebrated Boost technology. 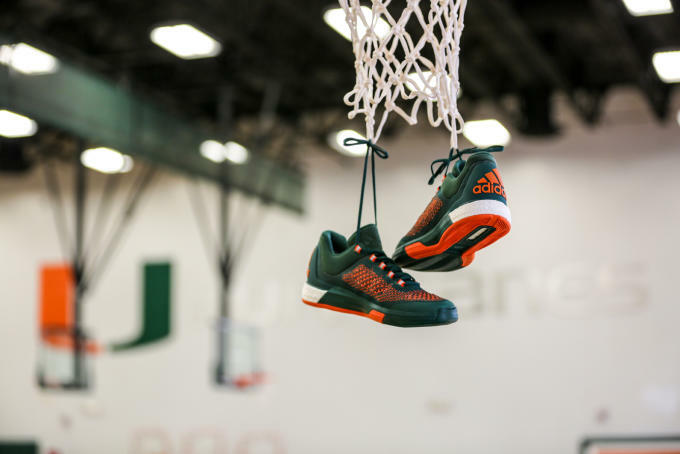 In addition, the team will also be getting exclusive colorsways of both the D Rose 6 and the D Lillard 1. 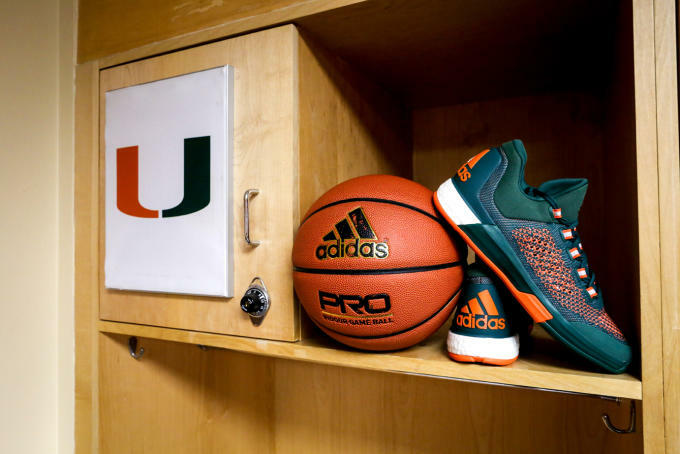 The Hurricanes begin their 2015-2016 campaign on Wednesday, November 4 with an exhibition game at home against Dowling followed by the season opener on Friday, November 13 against the UT Rio Grande Valley. 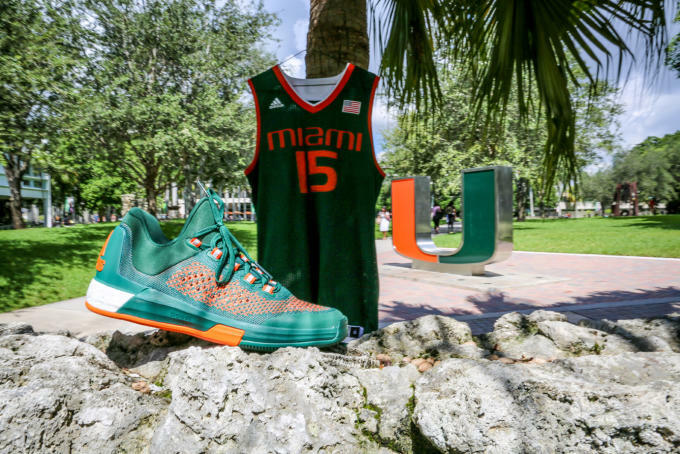 'Canes fans can expect to pick up the new adidas gear beginning in November at the school's campus shop as well as adidas.com.